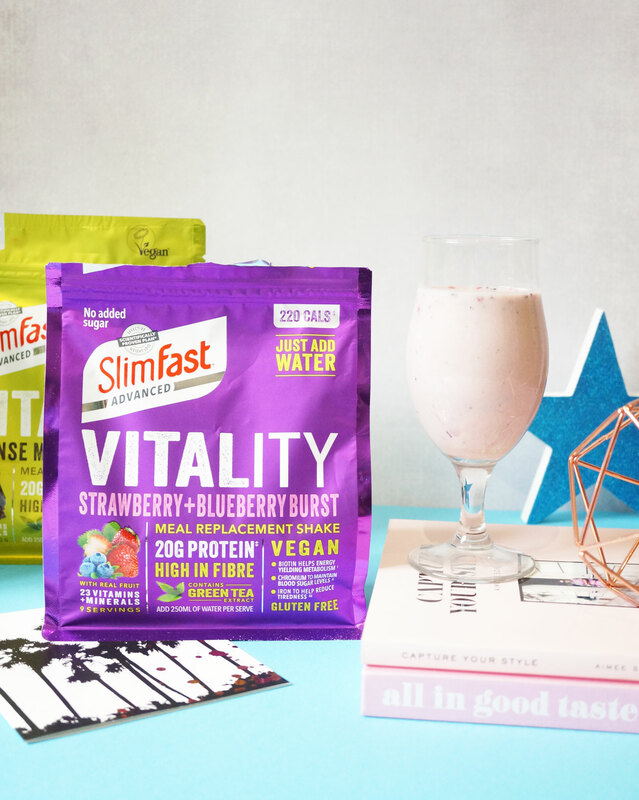 Slimfast New Advanced Vitality Range & #SlimFastBreakfastClub Twitter Chat! 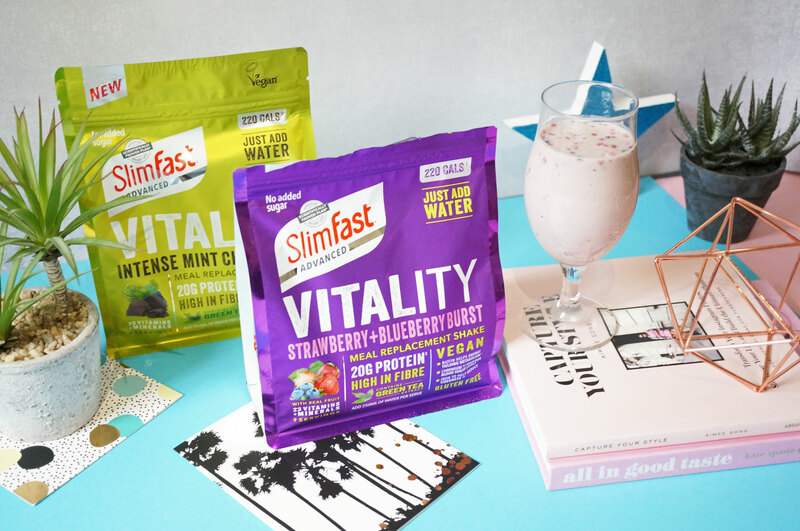 If you’re a regular reader you’ll know I’m a big fan of SlimFast – as someone that struggles with my weight I’ve found their products to be incredibly helpful when I decide to start shifting the pounds. Discover a holistic way to lose weight helping you to feel great on the inside and out. 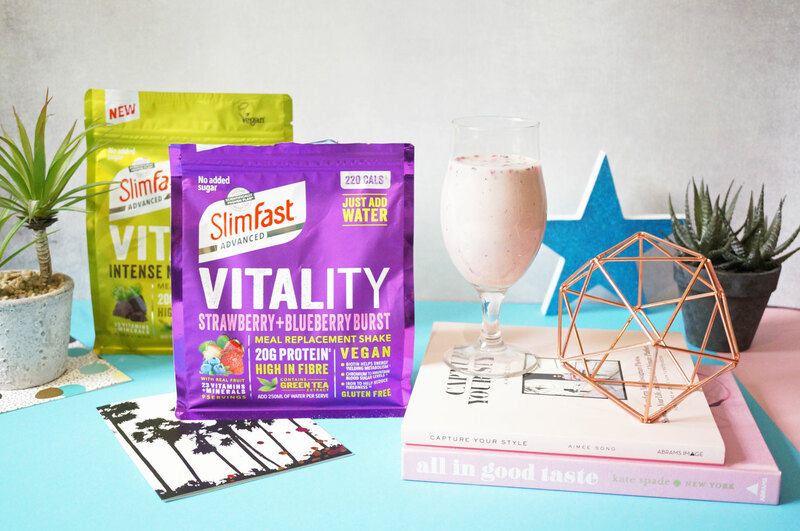 Our unique SlimFast Advanced Vitality shake recipe is made with selected ingredients to support your metabolism and reduce tiredness and fatigue – essential when losing weight and keeping it off. With no added sugar, high in protein and fibre and with 23 vitamins and minerals in every serving, it’s perfect whether you are on a diet or looking for a balanced meal alternative. A few more things you should know about the Advanced Vegan Vitality range – firstly, you don’t add milk like you would with SlimFast’s original powder shakes, you just add cold water, making them even easier to make up when you’re out and about. You’d think this might deter from the flavour, but surprisingly it really doesn’t! (There are also have 4 other flavours that can be enjoyed with milk too). Also, they contain less calories than the original shakes, at only 220 calories per serving – net bad hey! I’ve been trying out the Strawberry & Blueberry Burst flavour, as well as more recently the Intense Mint Chocolate flavour too. Both of these are vegan, and they both contain the same vitamins and benefits as the non-vegan options which is fantastic. I’ve personally found the Strawberry & Blueberry Burst flavour to be my favourite – it’s very similar to the traditional Strawberry SlimFast but just feels a little extra. I love that the new Vitality range includes a load of added extras in terms of vitamins and minerals to give you more energy, and the texture also gets a thumbs up as it contains little chunks of dried fruit, which makes it more of a ‘meal’ than just a smooth milkshake. On that note, of course you can always pimp your shakes by adding almost anything you like, to tailor make them to your taste. 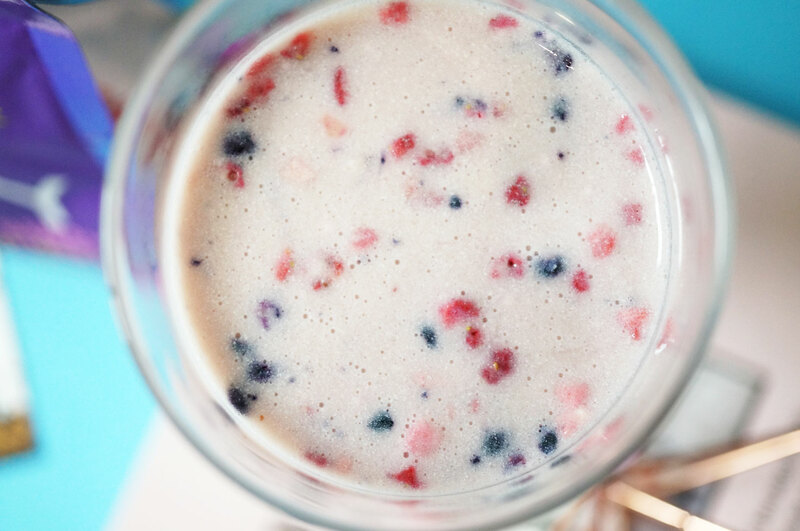 SlimFast recommend adding a handful of cacao nibs or frozen berries for an added boost, which adds less than 100 calories to your shake. I’ll be co-hosting the SlimFast 3.2.1 Breakfast Club Twitter party from 9am to 9.30am on Wednesday 27th September where we’ll be chatting all things SlimFast including discussing their new products, tips and general chat, and there will also be a prize for one lucky participant. Everyone is welcome, just follow the hashtag #SlimFastBreakfastClub from 9am and join in the fun!